Successfully Added I5HW Foldable Drone - WiFi App, G-Sensor Control, FPV, Headless Mode, 80m Flight Distance, Remote Control, 850mAh to your Shopping Cart. The I5HW drone features a very compact and lightweight design. With its foldable wings, it can be easily carried around in your bag without needing to worry about damaging it. 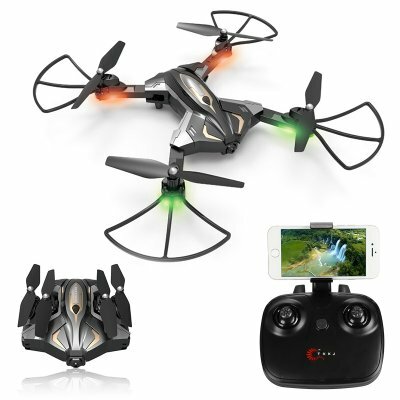 This drone features 6 axis gyro which brings along a stable flight experience. 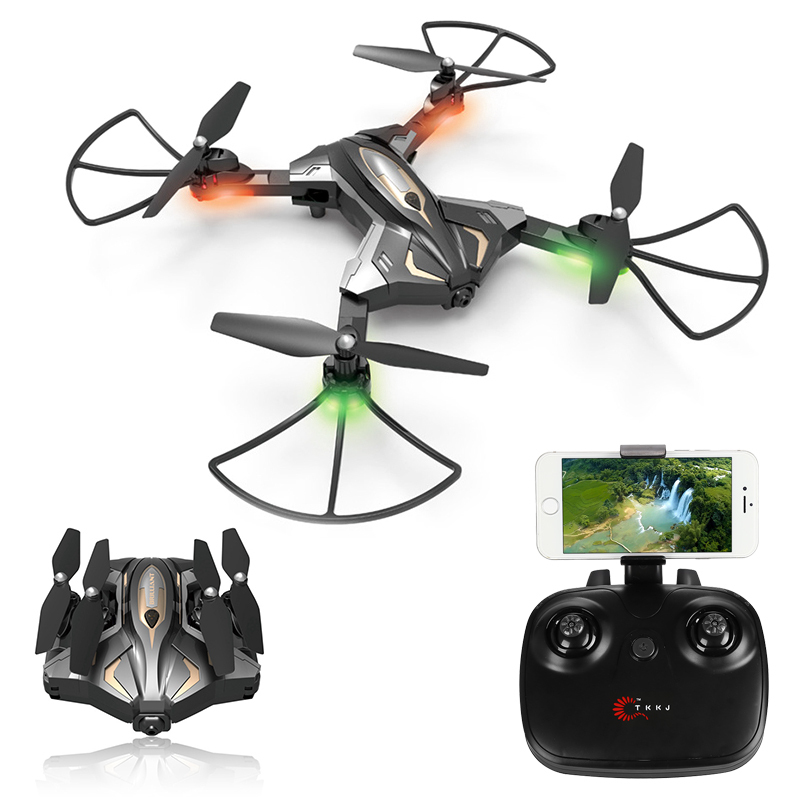 The Quad-Copter is easy to control which makes it a great beginner drone. With its built-in 0.3MP camera, it lets you shoot pictures and crisp 480p video. Thanks to its WiFi support, the video drone furthermore supports FPV. From now on, you’ll be able to enjoy a first person in-flight experience while cruising through the skies. Its has an 850mAh battery, letting this foldable drone can fly for up to 12 minutes on a single charge. It comes with App support for both iOS and Android phones. When used with the App, you can enjoy 30m FPV, G-sensor control, as well as its waypoint mode that lets you draw a pre-selected flight route on the map. By supporting 3D flips, this beginner drone is sure to bring along hours’ worth of fun and entertainment. The drone furthermore comes with a 2.4GHz remote control and supports one key return and automatic take-off/landing. With its 80m control distance, this mini-drone lets you observe your surrounding like never before.